Many of us are food gardeners. We are used to harvesting things like tomatoes, carrots and onions from our backyards. But what about hostas or dalihas?? Yes, we can eat those too! In fact, there are many so-called “common” plants that are not only safe to eat, but are delicious as well. 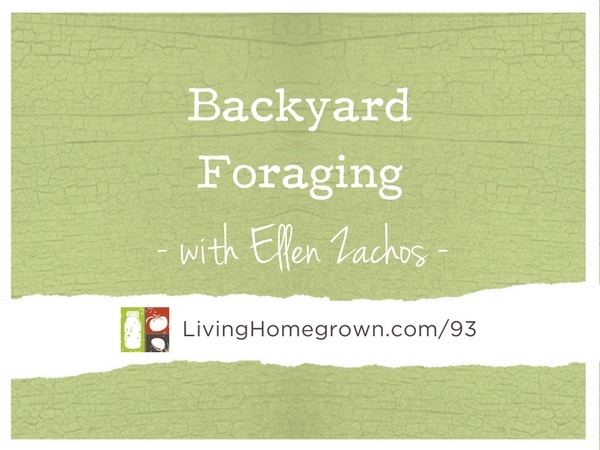 In today’s podcast, you learn how to safely forage for food in your own backyard and some pro-tips for cooking up that harvest. 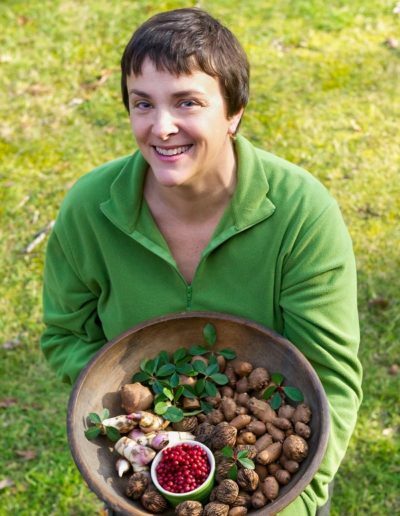 Ellen has written several books, including: Backyard Foraging: 65 Familiar Plants You Didn’t Know You Could Eat, Orchid Growing for Wimps, Growing Healthy Houseplants, and she has a new book coming out called The Wildcrafted Cocktail. Wow this is so informative, thanks you for helping so many learn about foraging. This is incredibly helpful information, this podcast changed the way I think about planning my menu. I’m vegan and this has helped me find new things to add adventure to my friends and my own diets. Thank you so much Ellen Zachos. Hi Tiffani – I’m SO glad you enjoyed it! Theresa, “YOU ROCK”. You are my favorite “caster”. Wish you were my neighbor when I lived in LA. Thank you Sheila!!! I love that. I’m honored to be your favorite “caster” Thanks so much.